As we welcome the spring season with open arms, let’s rejoice in the warm temperatures and glorious blooming nature that surrounds us. The snow is melting making way for spring’s vibrant colors in our yards. Are you prepared to show off your yard this season? 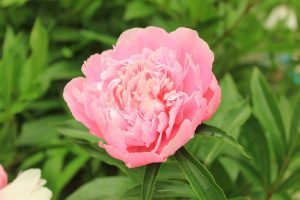 Don’t worry if nothing is planted yet, or if you don’t consider yourself to have a green thumb, these easy-to-care-for plants will liven up your yard, and create a warm welcome for guests into your home. These red and orange flowers are very similar to daisies. 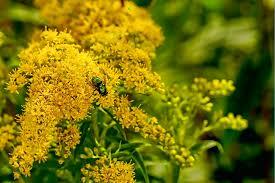 They thrive in full sun and bloom from summer to the fall season. Plus, they’re tolerant of droughts and attract butterflies. This flower is extremely difficult to kill and blossom in both part-shade or full sun. Although each bloom only lasts one day, the plant keeps their trumpet-like blooms for weeks. Popular in England, this large paper-like flower brings a vivid pop of color to your garden. They come in a variety of colors from pastel pinks, neon orange, to cream. A major plus? Little care is needed. An all-time favorite flower, this plant thrives for decades when placed in full sun and planted in well-drained soil. These blooms are extremely fragrant and a perfect addition to any garden. A classic for foraging rabbits and deer, the yarrow blooms are tough and can stand up to summer heat and drought. This perennial adds a wonderful pop of color to your yard and bloom from late in the summer to early fall. 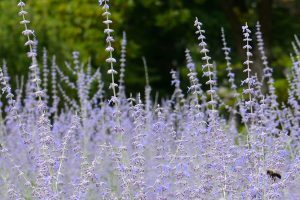 Add this plant to your garden for some much-needed height and depth. These plants are a magnet for hummingbirds. Tolerant to drought and blooming brilliant tubular flowers in the spring or summer, this plant is a must-have to spruce up your garden. 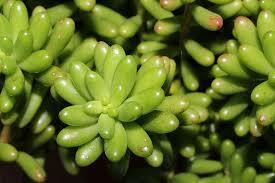 One of the easiest plants to care for, sedums are tolerant of heat, humidity, and drought. 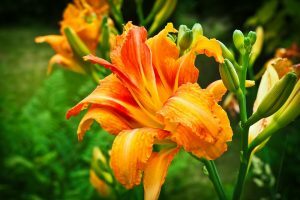 Plus, they’re disease-resistant and offer long-lasting blooms. This drought-tolerant sub-shrub is the perfect addition on slopes or if you’re looking for ground coverage. The blooms vary from orange, yellow, pink, or white — a gorgeous and easy addition. This fragrant shrub-like plant is tolerant of heat and drought in the warmer months. They heavily attract bees, but not rabbits or dear — a major plus! As we enter the warmer months, the real estate market is picking up so it’s important to keep your garden looking good to attract buyers! With the help of The Degnan Group, we’ll help find or sell your home to create long-lasting memories that will stand the test of time. Contact us today at (419) 345-7808 to get started.